His Excellency Hassan Ali Joho is the first governor of Mombasa County and is serving his second five-year term after successfully defending his seat on the August 8th 2017. Governor Joho was first elected on March 4th, 2013 polls. 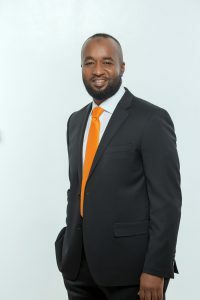 Prior to that he served as Member of Parliament for Kisauni Constituency between 2007 and 2013.During his term in the National Assembly, Governor Joho served as the Assistant Minister for Transport, Vice Chairman of the Foreign, Defense & Election Committee, Library Committee Member and Transport, Housing & Public Works committee member among other positions. Governor Joho is the National Deputy Party Leader of the Orange Democratic Movement (ODM), a party on whose platform he has been elected since 2007. Governor Joho is the Chair of the Global Strong Cities Steering Committee Working Group on Communications and Counter Narratives. Governor Joho is also the Co- President of the 21st Century Maritime Cooperation Committee on Trade and Investments of Cities and Local Governments of Asia-Pacific, Southeast, South Asia and Africa. He is a team player and a worker with immense skills which connect mostly with the youth and both rural and urban poor. Besides being a public servant, Governor Joho is a multi-talented and influential serial entrepreneur who has successfully started, grown and managed various enterprises in diverse sectors ranging from environmental management, shipping and logistics to manufacturing and retail. As a business magnate and investor, he is the founder and pioneer of Prima Pest & Bins Limited, the first garbage collection company in Mombasa. He is also the founder of M-Tech Kenya Limited and East African Terminals Limited, commanding respect within the shipping and logistics industry. While he has stepped down from executive positions in these businesses, he continues to provide support as a strategist and business idealist from time to time. Governor Joho is a generous philanthropist and the founder and patron of the Hassan Joho Foundation, a non-profit organization established in 2008. The Foundation is today credited for numerous social projects in Mombasa County and the Coast region that have positively impacted on the lives of many people within the community he serves. The Foundation is involved in various initiatives in Education, Youth Empowerment and Entrepreneurship, Sports, Orphanages and Drug Rehabilitation initiatives within the County. 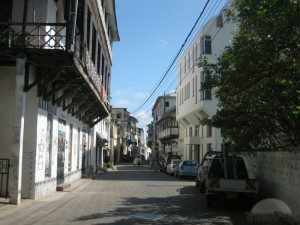 Activities over the last seven years include the construction and modernization of primary and secondary schools with over Ksh100m donated to date; the provision of water through sinking of boreholes, bursaries that educate over 1,000 students per annum, sponsorship of various sporting activities and providing support of community policing and drug rehabilitation programmes within Mombasa County. Born in Kisauni, Mombasa, Governor Joho holds a B.A in Business and Human Resource Management from Kampala University and diploma in business, shipping, logistics and ICT. In his free time, he enjoys traveling and socializing through various sporting activities including golf, soccer and swimming.